Each year Gentle Giant creates a special Star Wars Holiday treat for Premier Guild Members. This year will definitely be on my all time favorites for Star Wars Holiday themed exclusives from Gentle Giant. Gentle Giant is proud to bring to you an early dose of Holiday cheer with the unveiling of our 2013 Holiday piece, the Holiday Jumbo Vintage Kenner Yoda Figure! 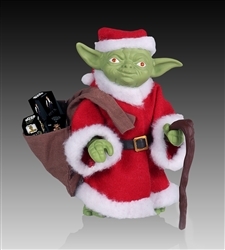 Inspired by one of George Lucas’ famous holiday greeting cards, the Yoda Holiday 2013 Kenner Jumbo Figure comes with a faithfully-reproduced brown cane and a unique removable Santa Claus outfit, complete with cap and sack full of Gentle Giant toys! This PGM Exclusive Limited Edition piece comes on a unique holiday-inspired cardback featuring artwork by the late, great Ralph McQuarrie and packaged in a resealable clamshell to preserve the Holiday spirit year round! 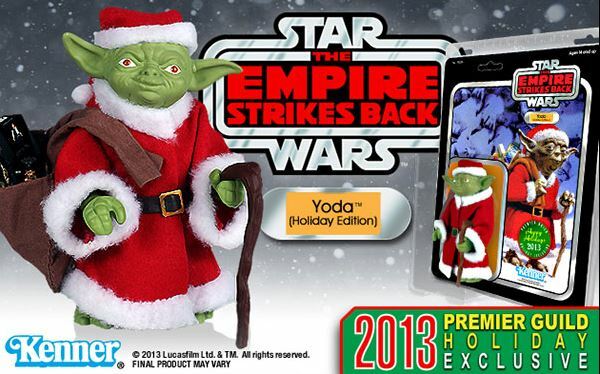 Gentle Giant's Star Wars Jumbo Kenner Yoda (Holiday Edition) is now available for pre-order to PGM members.